In a frenetic opening monologue, Haname Jinchoge (Kumiko Aso) introduces us to her life and philosophies. She goes through her daily routine as a chore, enjoys a sludge of ten spoons of coffee in milk each morning, and lives with her mother (Keiko Matsuzaka), her father has left for a more wealthy woman. Haname loses her job at failing women’s magazine publication and her mother takes ill resulting in a coma. They manage to fish a letter out of a sunken post-box that tells Haname that her real father is not who she thought, but is instead a bohemian figure called Light Bulb (Morio Kazama), who is now running a bric-a-brac store. The eternally upbeat Haname sets out to meet him, hoping that her discovery of her mother’s former partner might return her to consciousness. “Instant Swamp” has a bizarre and convoluted plot that is perfectly in keeping with its protagonist and her eccentric behaviour. The film is an off-beat comedy that relies heavily on slapstick humour and unusual scenarios. It often delights in subverting expectations with ridiculous reveals. Much of the dialogue is clearly designed more for laughs than realism and it plays like a series of sketches that happen to involve the same characters. Not all of the jokes work, but there are enough of them that this does not matter. In the same way, the plot moves along at such a pace that there is always something else to be invested in, albeit temporarily, like a wild treasure hunt that is constantly throwing up more hints to follow. The jokes are helped, even when the material is weak, by some great comedic performances. Kumiko Aso is very charismatic in the lead role and really sells every gag. Morio Kazama as Light Bulb gives a good performance as the humorous yet untrustworthy shop owner. The supporting actors, Eri Fuse as Haname’s co-worker Ichinose, and Ryo Kase as a punk electrician named Gas, are also excellent in their roles. The film is written and directed by Satoshi Miki, whose fertile imagination shows in every scene. “Instant Swamp” is a peculiar film about the magic of everyday life. In an early scene, Haname’s mother tells her there is a kappa in the garden. Haname refuses to be drawn in, believing this to be a silly delusion. Similarly, when she is tasked with writing an article on ghosts for her magazine she is highly sceptical, despite her co-workers’ belief in the supernatural. However, by the end of the scene Haname has experienced her own transcendental moment of magic, finally converted to the idea that the world is a wide and wonderful place where anything can happen. The film is not attempting to suggest scepticism is wrong, but that most people spend their lives in narrow channels and often miss out on the opportunities that may be surrounding them for experiencing “magic”. This idea is also emphasised in the use of antiques dealing as a central plot point. Haname’s meeting with Light Bulb proves to be important as she learns that the value of an object is not necessarily in its price, but in its emotional weight. She learns to value things based not solely on their use. Again, this is shown in her own attachment to a bent nail, the importance of which is lost on almost everyone she shows it to. The theme of luck plays throughout the film in parallel with this idea. Haname believes that throwing away a lucky black cat statue in her youth has led to her streak of misfortune. However, when she is tricked into buying something that is seemingly useless at the end of the film, she has grown enough to appreciate the potential in even the lowliest of things. Life, she realises, is not based on luck, but instead on making the most of what you have and in seeing opportunity in every new day. 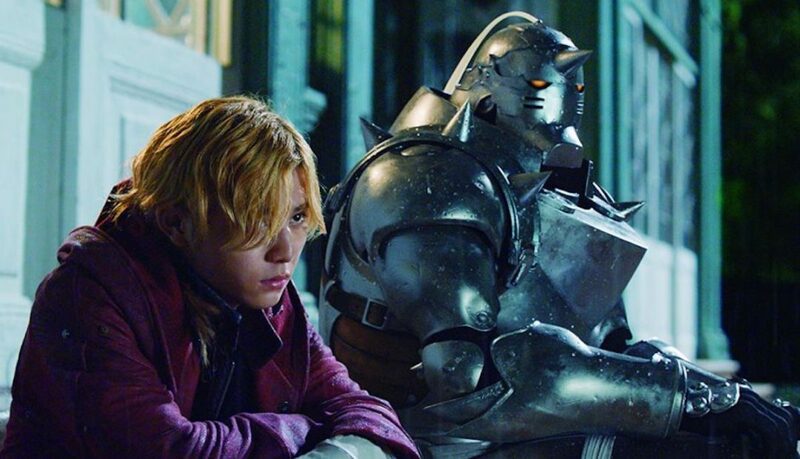 Based on the popular manga and anime franchise “Full Metal Alchemist” follows the story of Edward and Alphonse Elrick on their quest for the Philosopher’s Stone. Beginning in a charming, rustic setting we see the two young boys as they witness the sudden tragic death of their mother. The two decide to attempt to resurrect her using the practice of alchemy. In this world, alchemy is a sort of magic allowing practitioners to create almost anything provided the users skill and observance of several laws. These include the Law of Equivalent Exchange, which means that for anything to be created something of equivalent value must be destroyed. The two fail in their attempt to bring back their mother resulting in Alphonse losing his body and his spirit being subsequently bound in a giant suit of armour, and Edward losing his arm and leg. Years later the two are searching for the Philosopher’s Stone and soon cross paths with the military police, other alchemists, and a mysterious trio of Lust, Envy and Greed, a terrifying triumvirate with their own nefarious plans. With the success of the manga and anime it seems almost inevitable that a live-action film would at some point be made. To begin with the positives, the film’s opening scenes are well-put together. the backstory is told succinctly and emotionally, setting up the two brothers relationship and their fundamental motivation. The following action sequence stretches the budget of the production almost to breaking point, but is nevertheless a noble effort, creating an exciting showdown to get things moving. It is clear that all the actors involved are enjoying their time and the creators utilise the series humour to avoid it becoming a sombre affair. Unfortunately, some of the jokes don’t land and the over-the-top acting in an attempt to ape the art of the anime and manga is often distracting. By far the best scene in the film comes later when the brothers fight in a warehouse after feelings of sibling animosity boil over. In a moment we are drawn in and given an emotional beat that is largely absent from much of the rest of the film. For the most part attention is given to the fantastical and science-fiction elements rather than dwelling on the characters or themes for any length of time. In attempting to compress a long story down to a two-hour runtime we are given many scenes of exposition or plot advancement without much emotional investment. This becomes more apparent in the final showdown when everything does come together in a visually entertaining action sequence but with a stark lack of emotional investment in the characters. The film-makers did a great job with Al’s armour and the character was believable, but ironically it seems they struggled to bring Ed to life as effectively. Ryosuke Yamada seems too old for the character and jokes about his height fall flat due to his not being noticeably shorter than a lot of other characters. Yasuko Matsuyuki was delightfully devilish as Lust, and the rest of the supporting cast did a decent job with their interpretations of various characters. Full Metal Alchemist has a surprising amount of ideas present for what will be seen by some as a simple fantasy yarn. At its heart the idea of losing something in order to gain something is a powerful trope in literature. The two brother’s exemplify this as they are on a quest to recover Alphonse’s body, which makes the audience question what it is they are losing at the same time. A darker interpretation of this may be that the two had to lose their mother in order to become proficient at alchemy and fulfil their roles as powerful magic-users in the service of others. Alphonse comes to question his own identity, knowing that he is no more than a spirit ensconced in a hollow shell and having been told his memories may be false, he is confronted with the deeply troubling thought that his existence may be only as a simulacrum. This opens up all manner of religious and philosophical argument about the nature of being which is later emphasised in the final act of the film. Another debate that is touched upon in the film is that of science’s importance and how far people should go in experimentation to the end of discovery. The ghost of Japan’s own past with prisoners of war and cruel scientific experiments is raised a number of times along with a more pointed critique of militarism later on. Overall, the film is likely to be seen as a missed opportunity, but it is for the most part an engaging fantasy tale that raises interesting questions albeit hampered by a constrained budget and occasional lack of imagination. After moving to Kamakura, a region known for its many shines and religious historical significance, a young couple start to witness many strange phenomena: a kappa (mythological creature) running through the garden, gods and ghosts are commonplace occurrences. There is a festival attended by anthropomorphic animals. Masakazu Ishiki is a mystery writer and part-time detective, using his skills to solve various cases. When his wife Akiko’s spirt ends up on the ‘otherside’, Masakazu must follow a Shinigami (spirit guide) to rescue her from the large monster there. A children’s fantasy adventure that has plenty of excitement in the second half after building a sense of wonder and entertaining world in the opening scenes. The story introduces many mythological and fantastical creatures with a sense of magic throughout as well as the relationship between Isshiki and Akiko. The visuals and effects are good throughout and the final part in the otherworld features some amazing world building that is sure to thrill younger audiences. Based on a manga by Ryohei Saigan, director Takashi Yamazaki does a good job of bringing the story to the big screen. The main actors, Masato Sakai as Masakazu and Mitsuki Takahata as Akiko have an enjoyable chemistry together. An interesting watch for those interested in mythology with a selection famous creatures and characters from Japanese folklore. Especially the central plot of the latter portion of the film that is concerned with the shinigami and the train to the other world. They are portrayed as hardworking business people whose job is to ferry people across to the fantastical ghost world. This is a fun take on these staple characters. 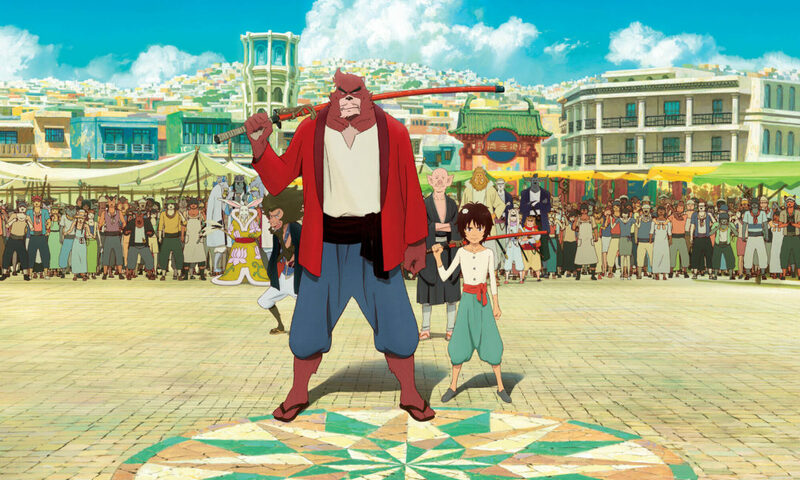 The film is clearly aimed squarely at a younger audience and is largely concerned with creating a visually appealing magical world for the characters to play in. In this regard it is certainly an entertaining distraction.